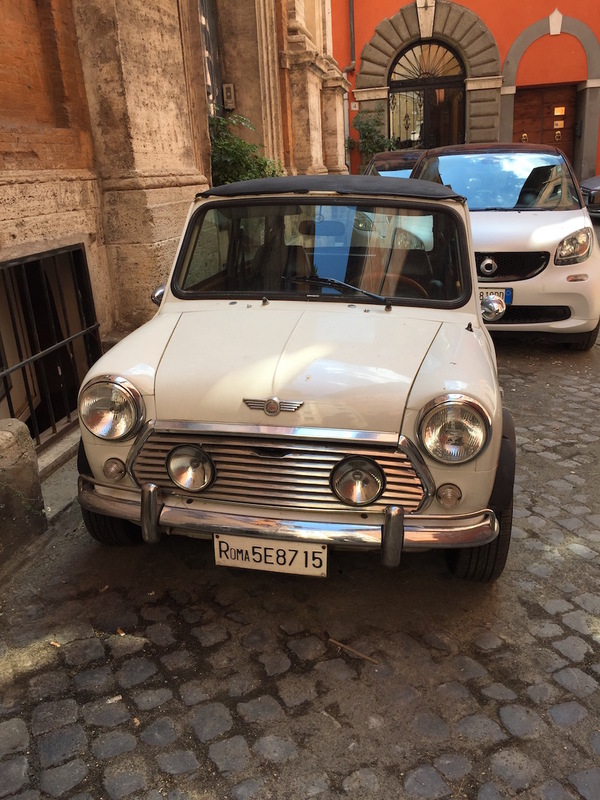 Rome’s a city, where historic motives are jumping into your camera. 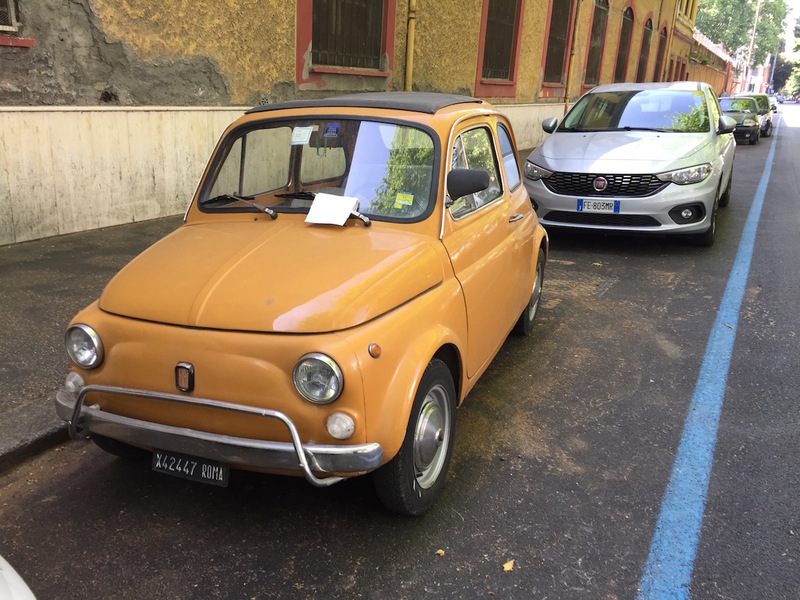 Independent of where you point the camera, now picture is bad. 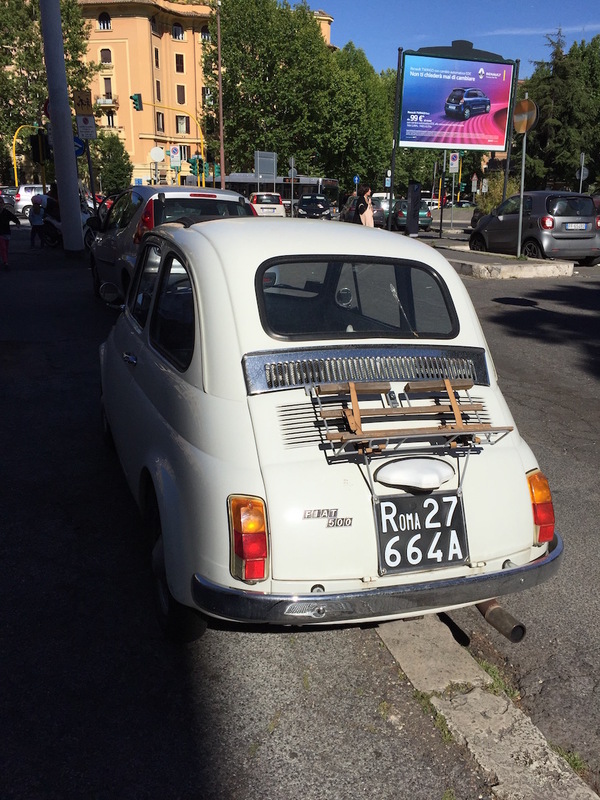 And the Romans have still a lot of their automotive history on the roads as well. 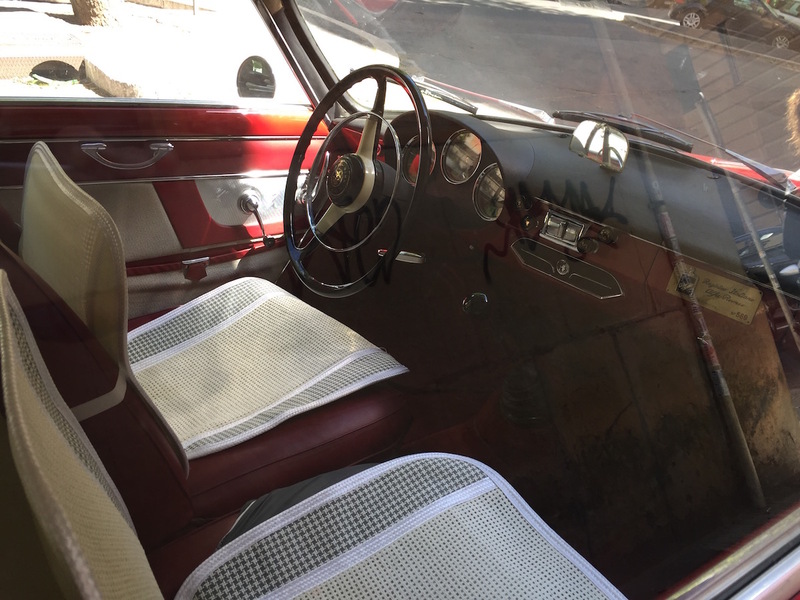 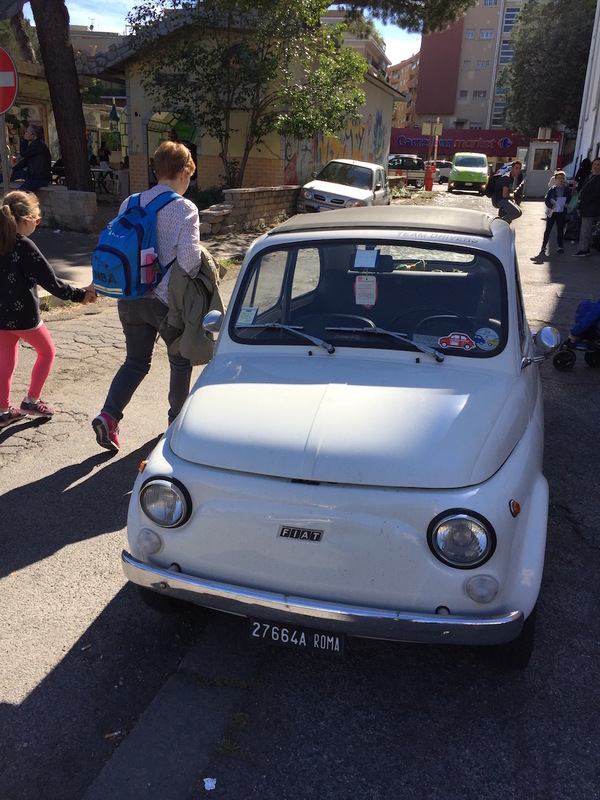 Really prominent is the Fiat Cinquecento that visitors can still find on every corner. 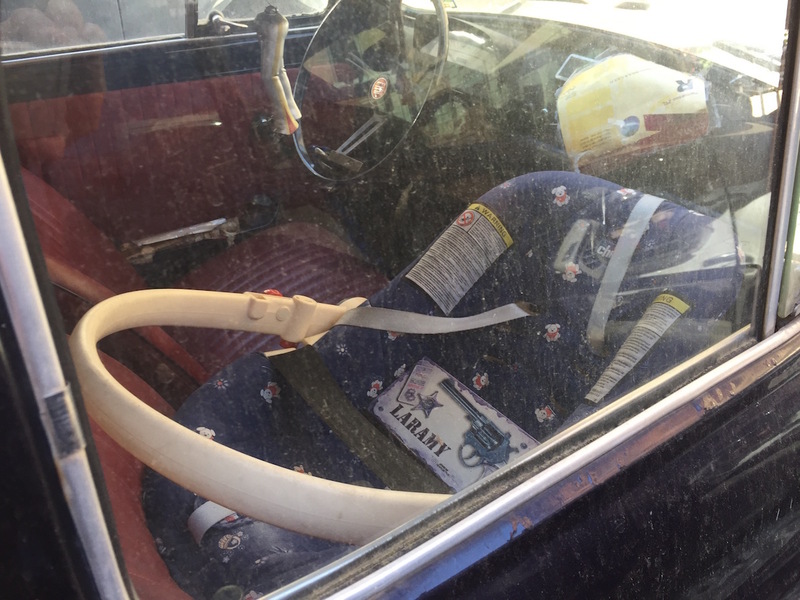 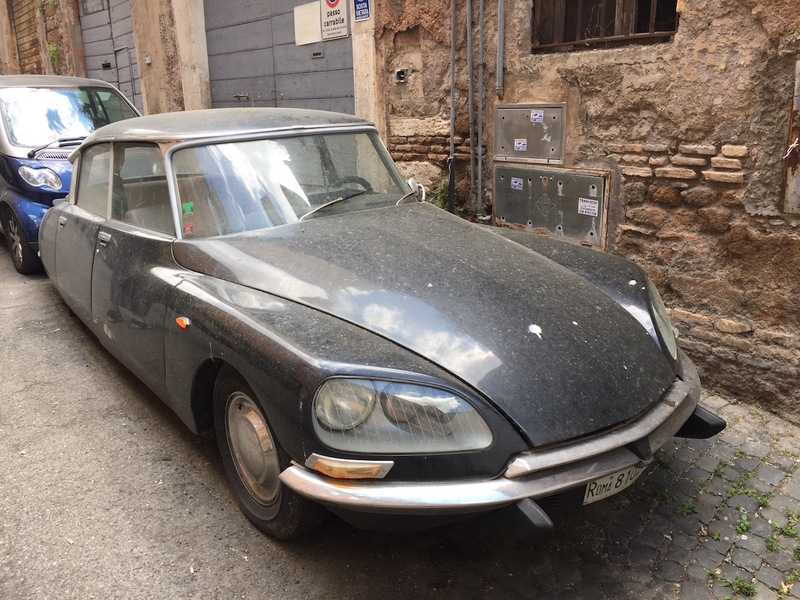 Sometimes the cars’ state is pretty beaten up, sometimes they are still holding on well. 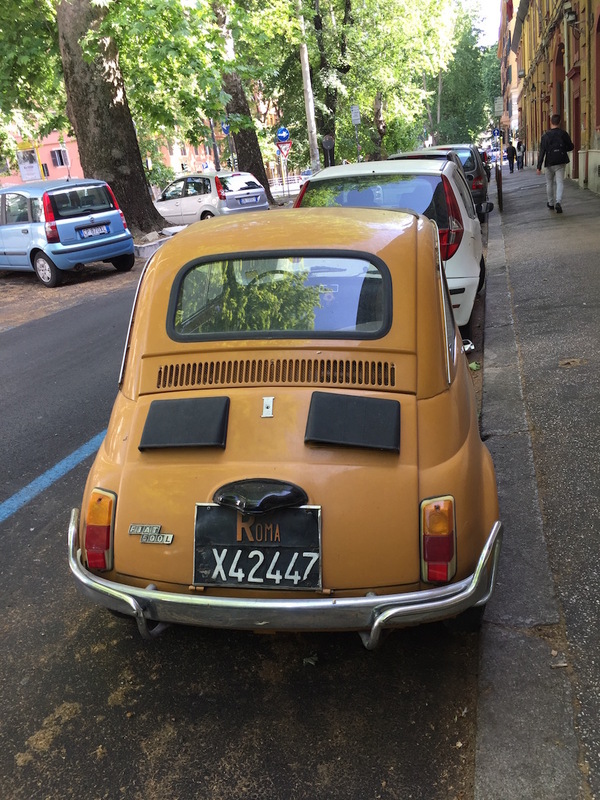 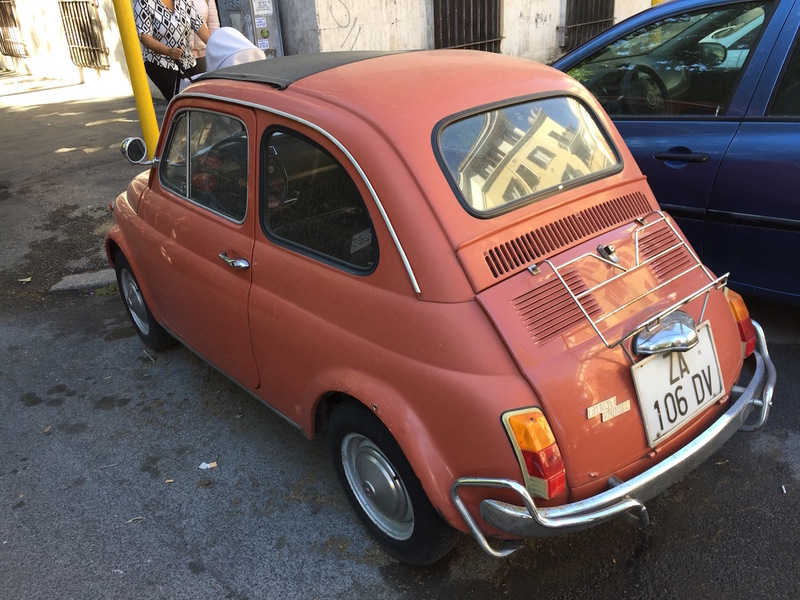 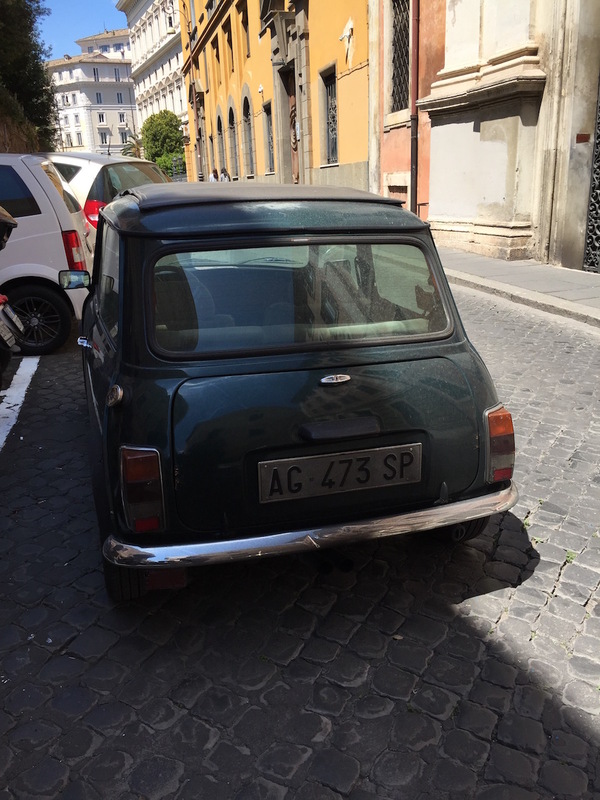 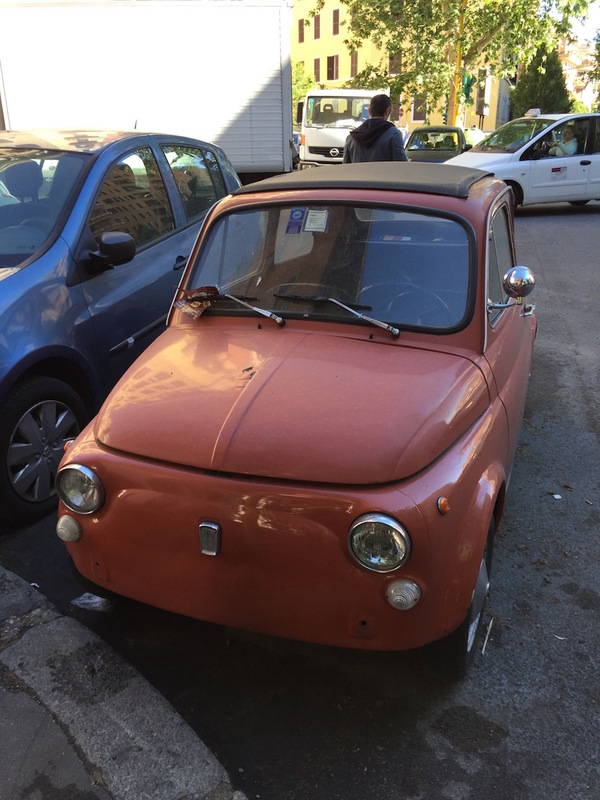 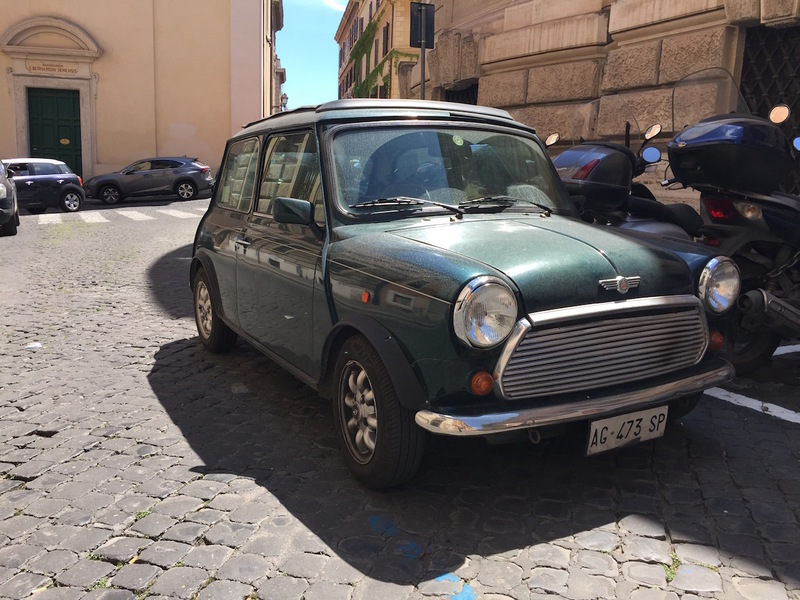 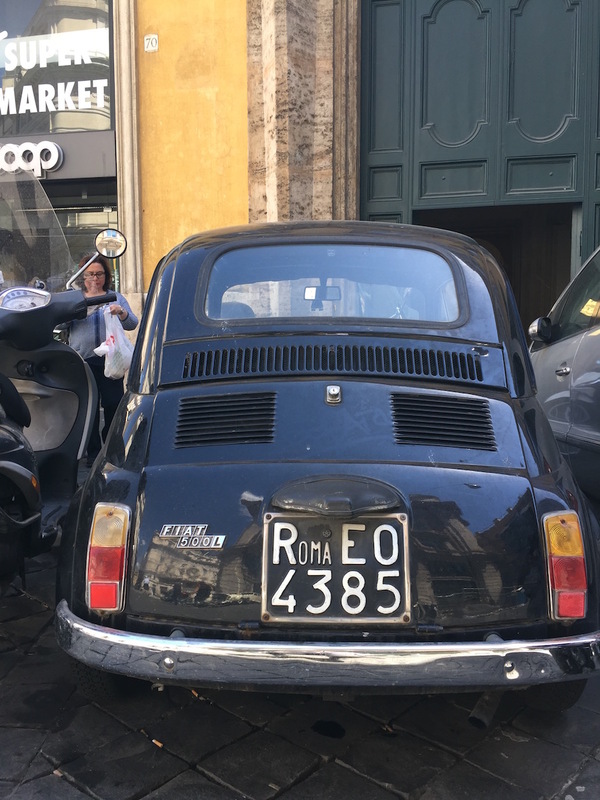 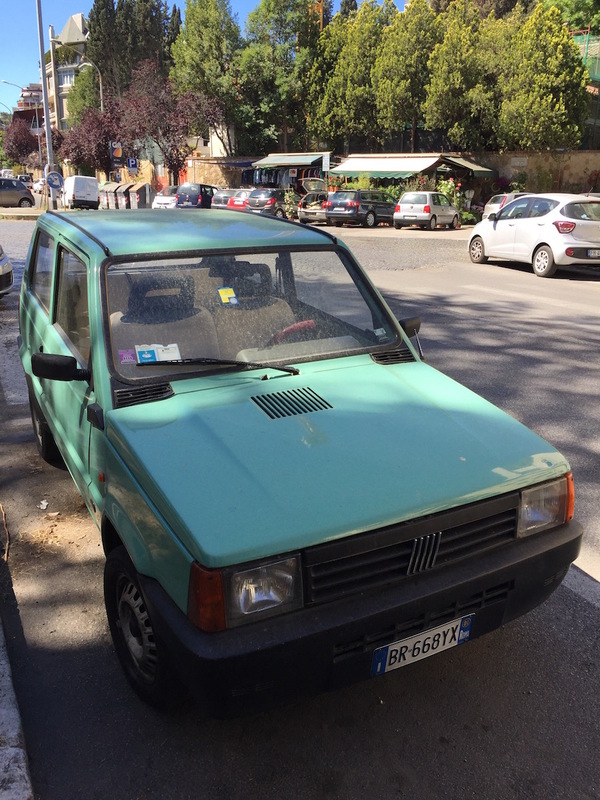 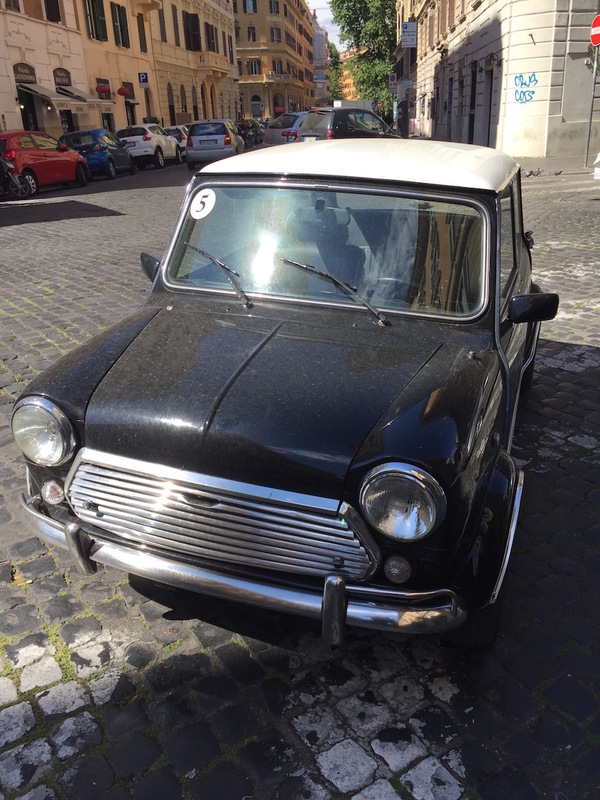 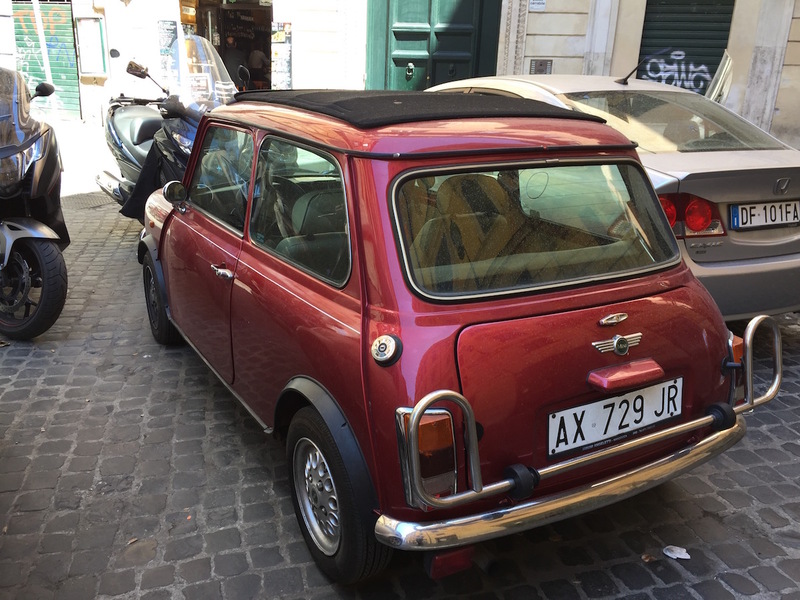 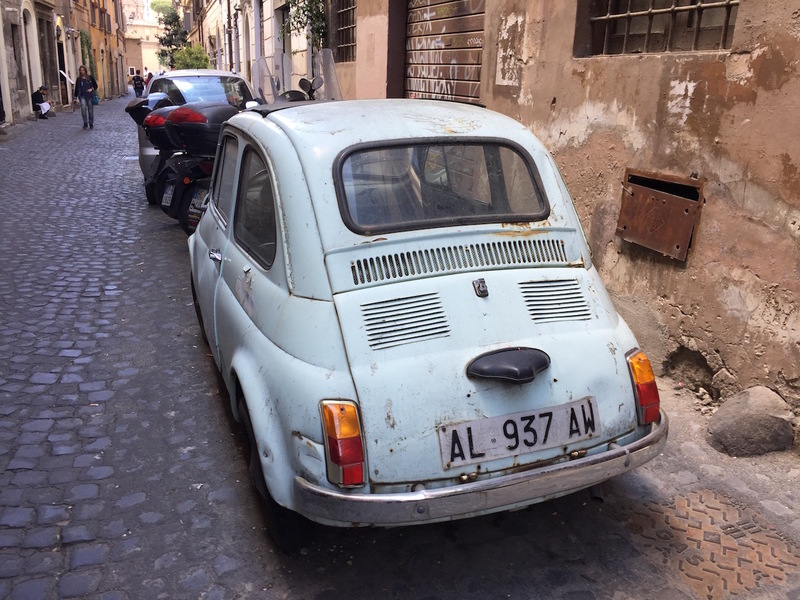 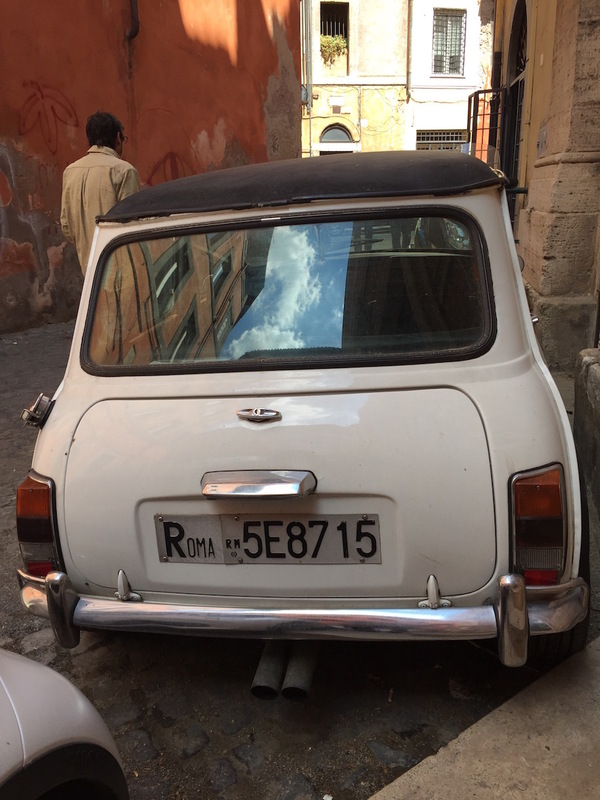 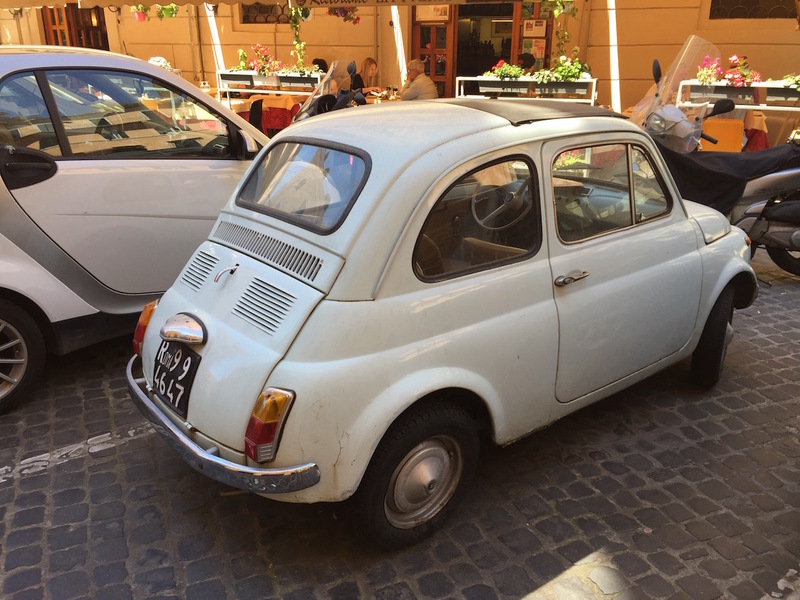 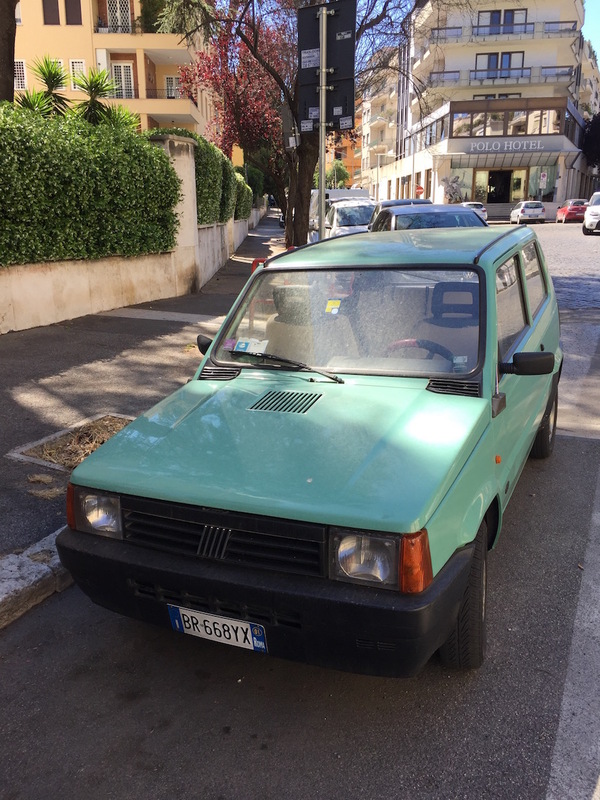 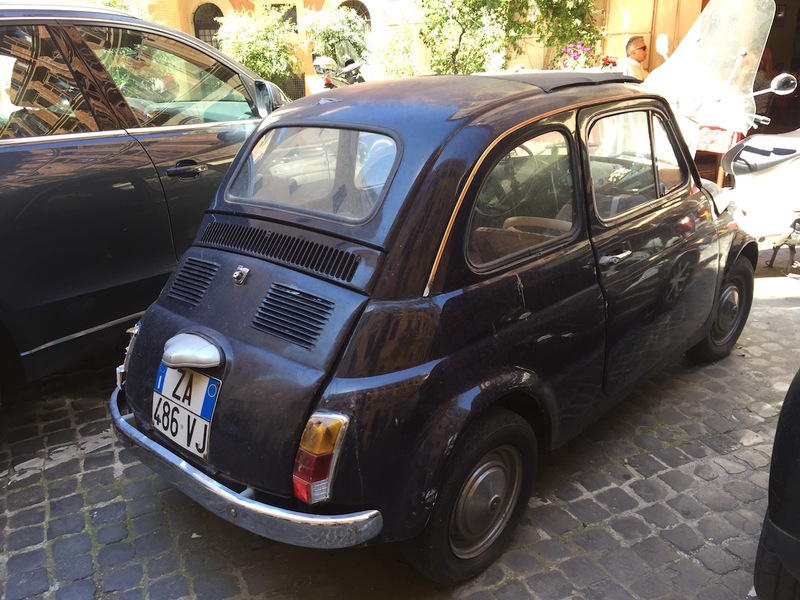 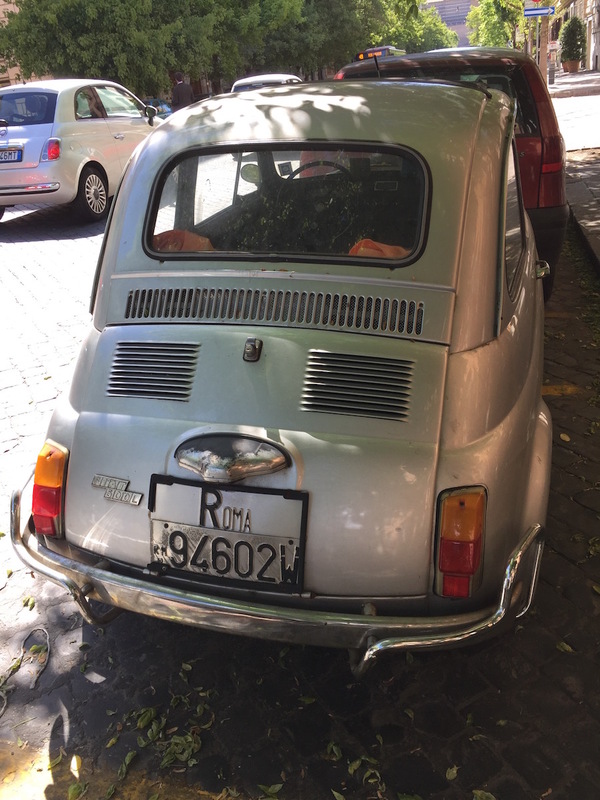 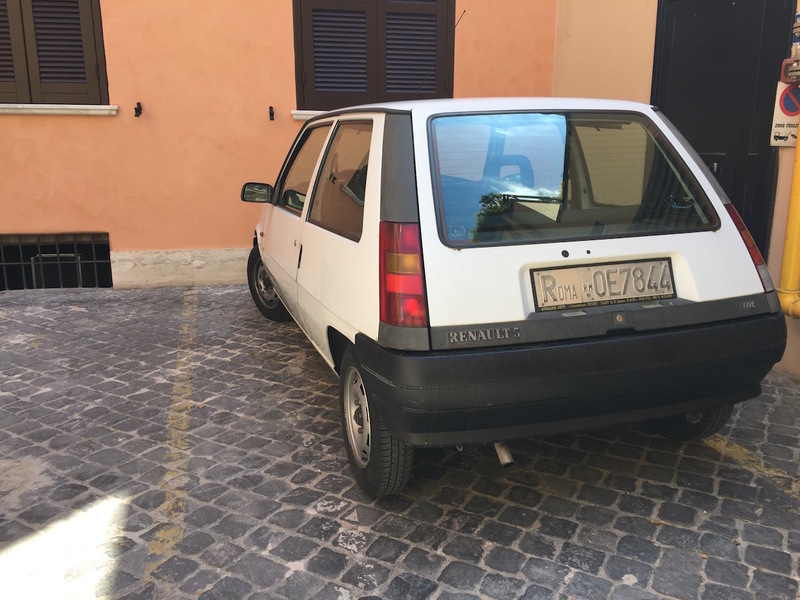 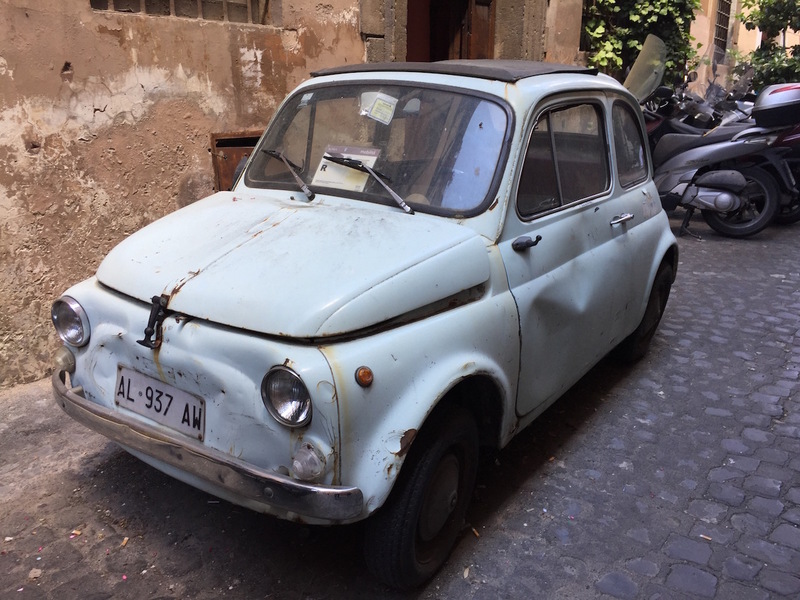 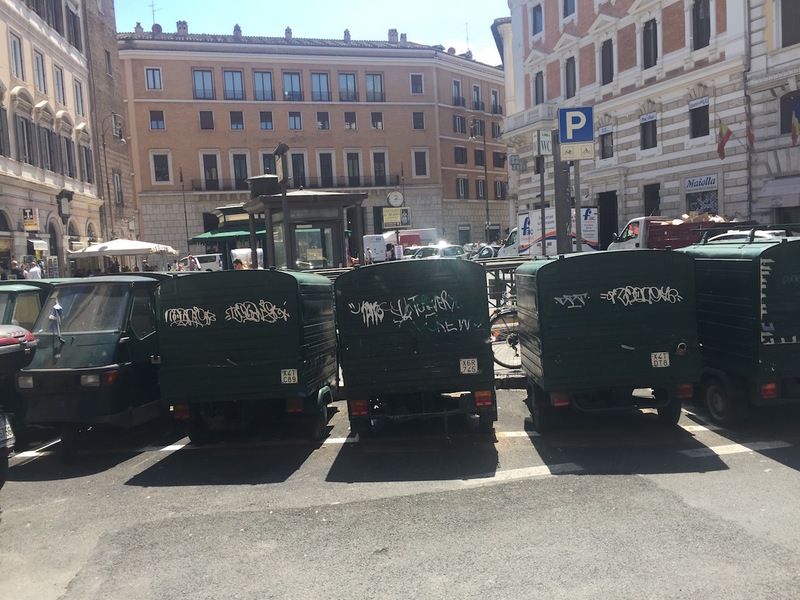 Generally, one can find many small cars, no wonder if you know the small streets and corners of Rome. 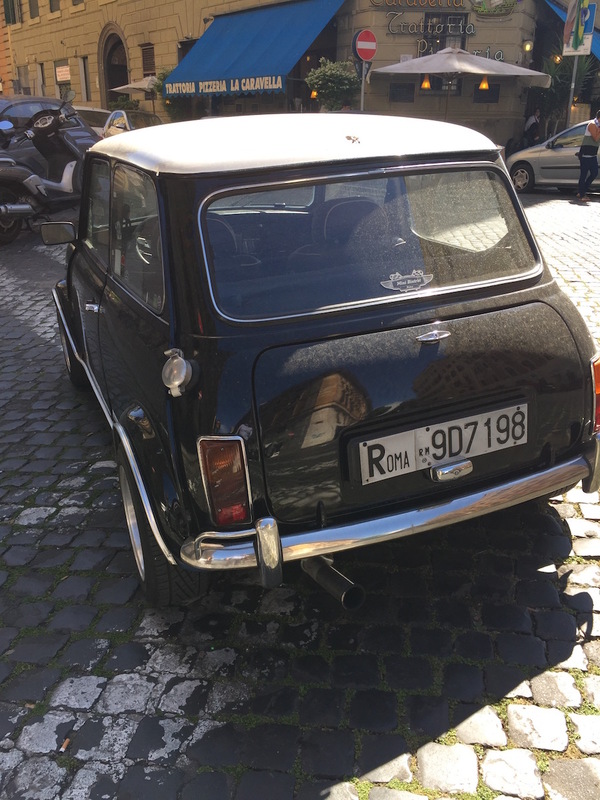 Here are also several Mini Coopers. 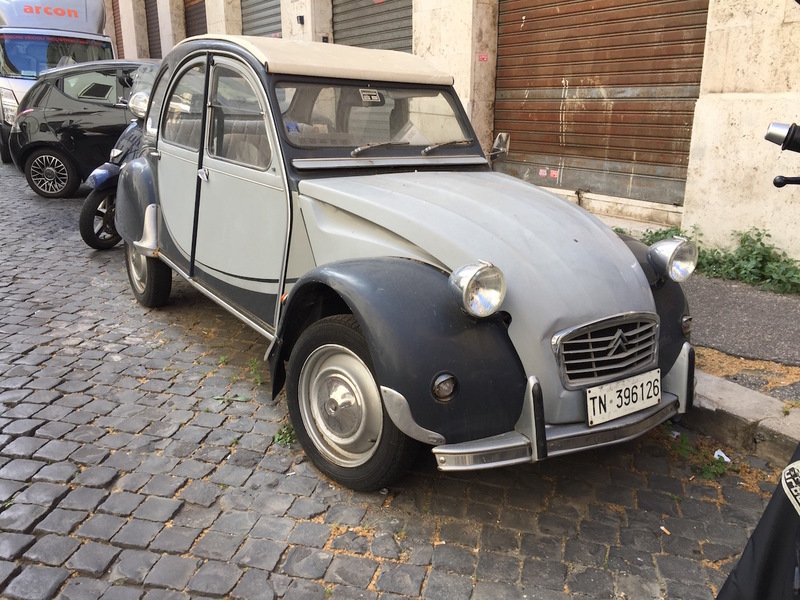 You can also find French cars, though fewer than in Amsterdam. 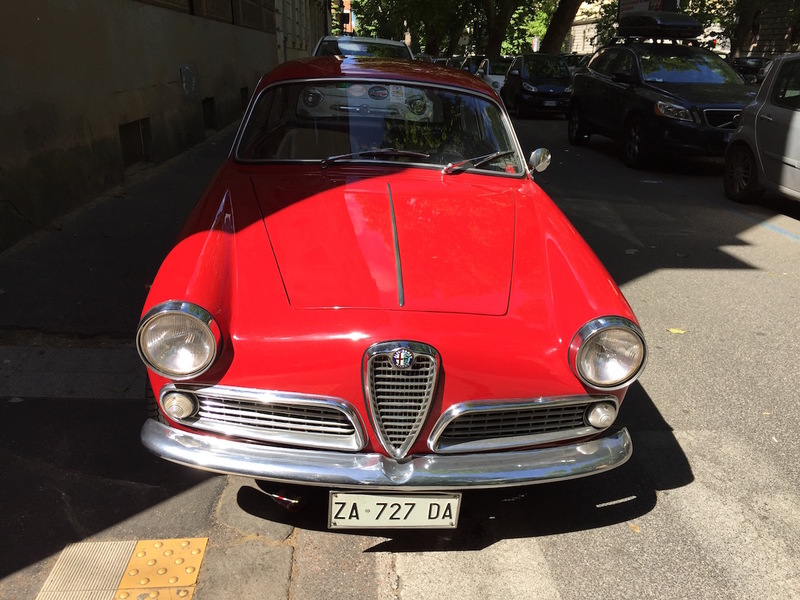 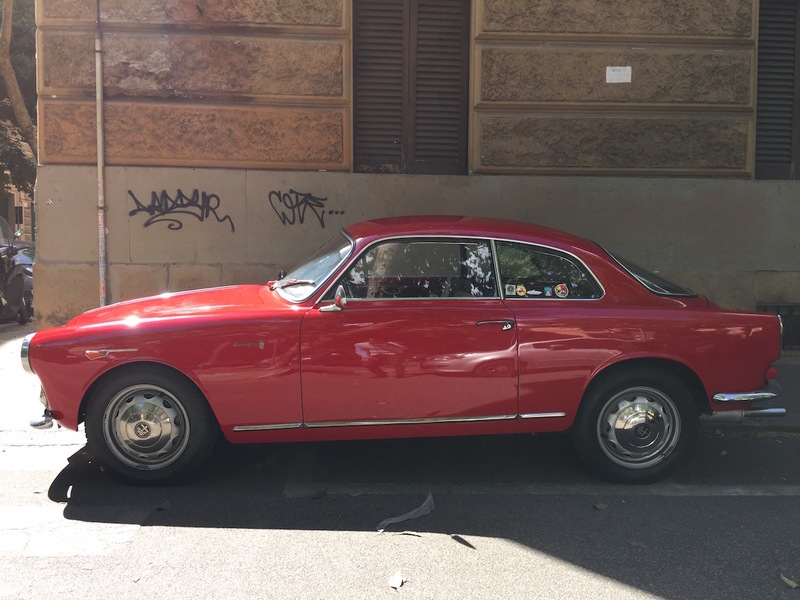 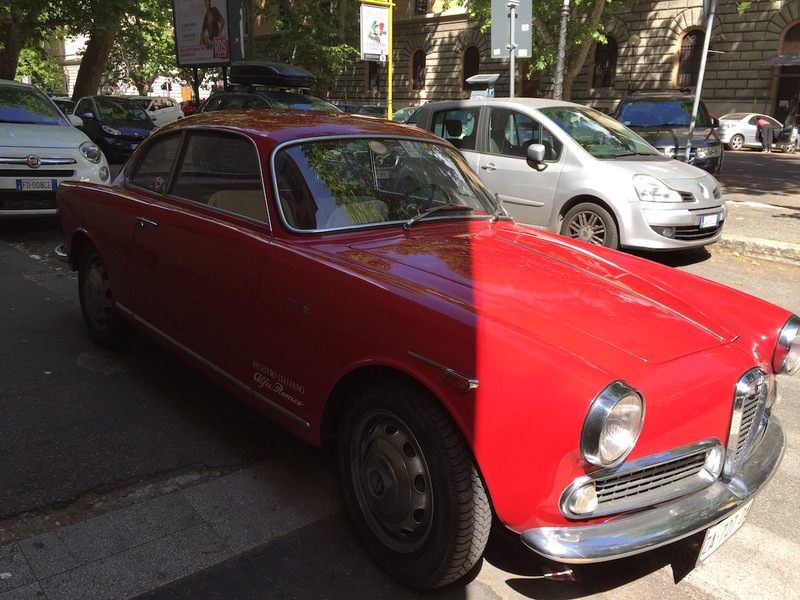 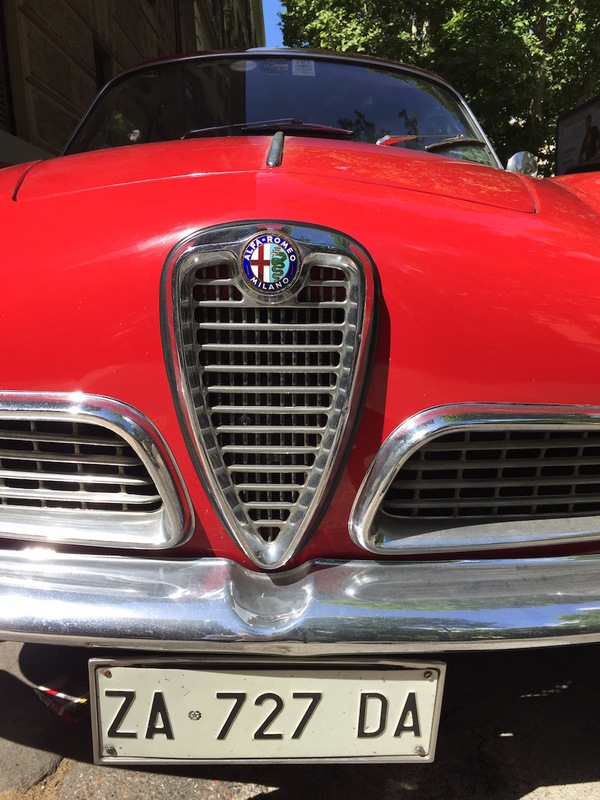 But in between there are real design masterpieces, like this Alfa Romeo. 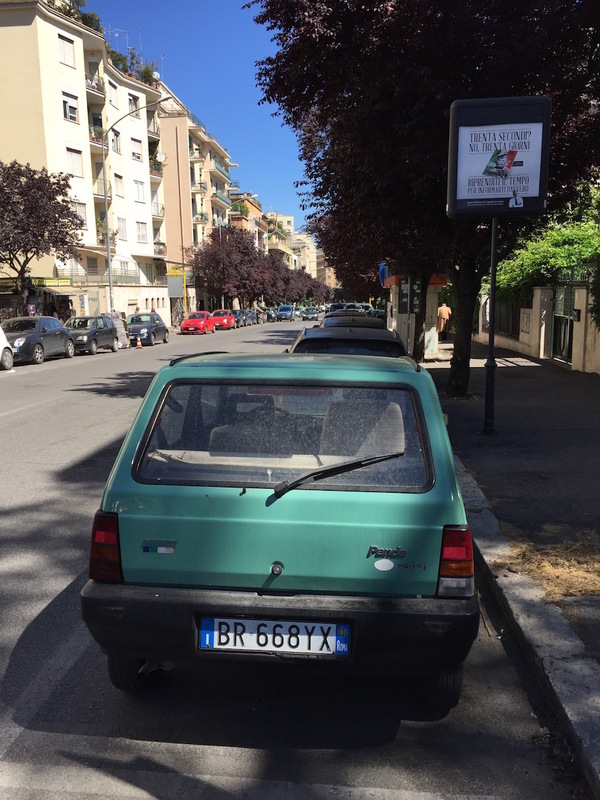 Pretty rare are German brands, just this VW Polo came in front of my lenses. 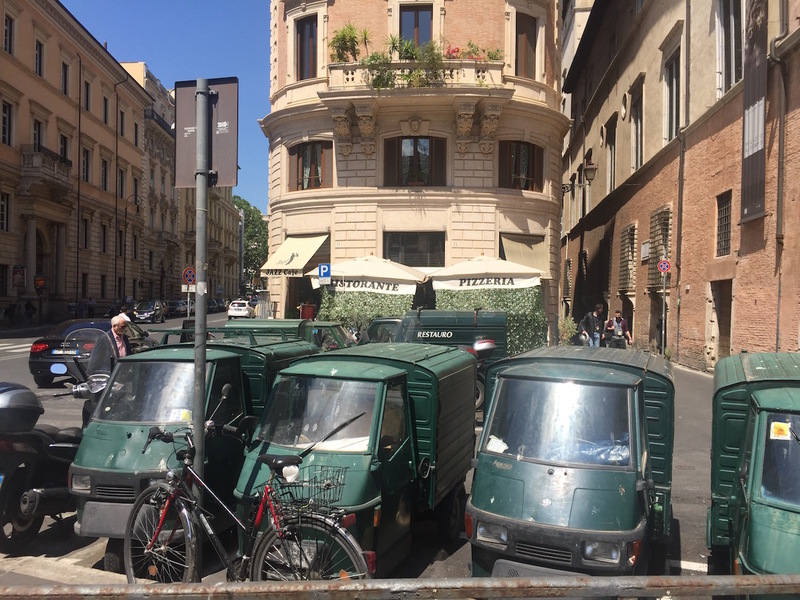 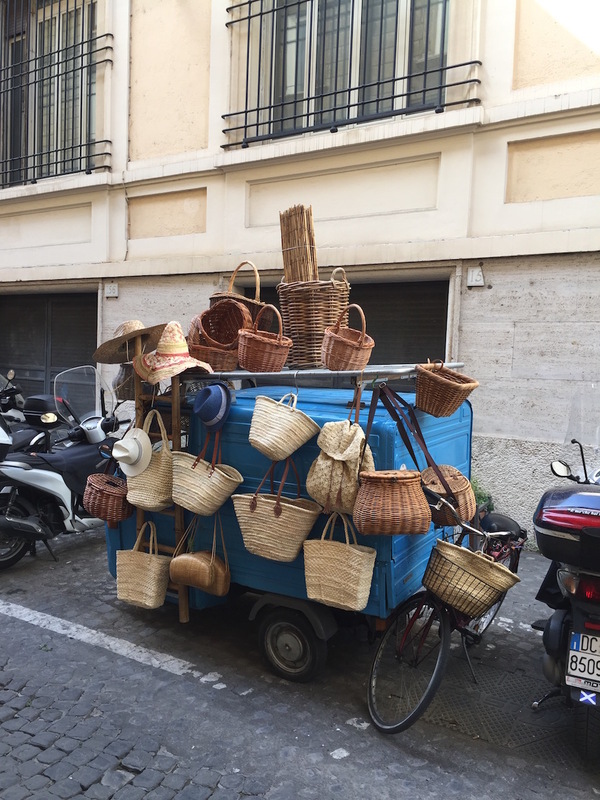 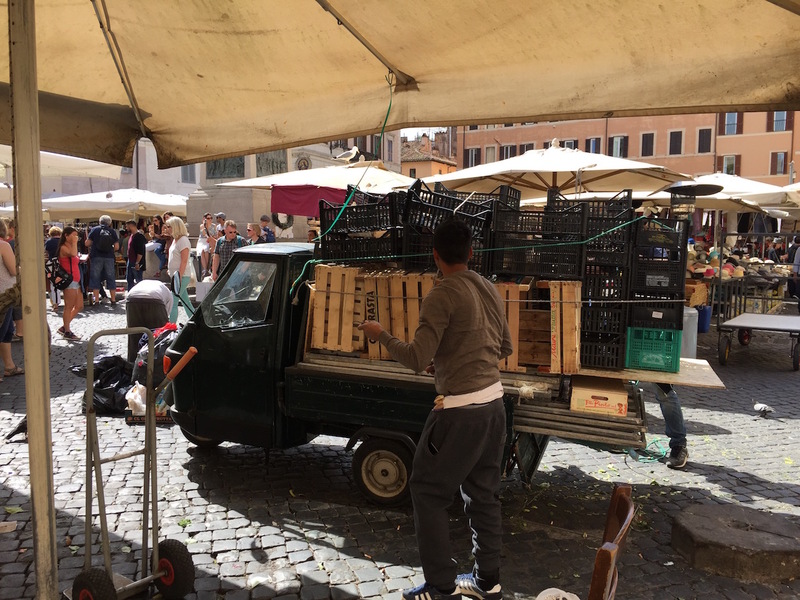 The real Roman workhorses are the pickup tricycles. 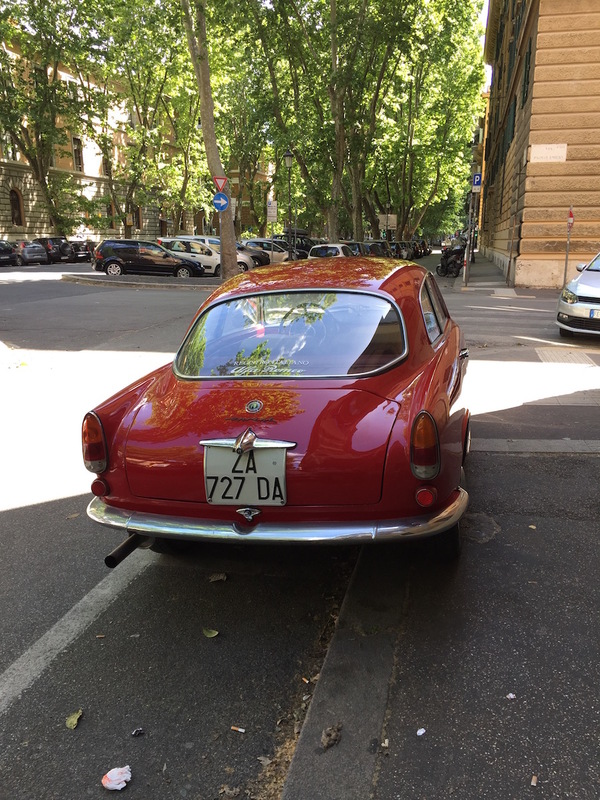 Often they are used in their original intention, sometimes just to gather attention. 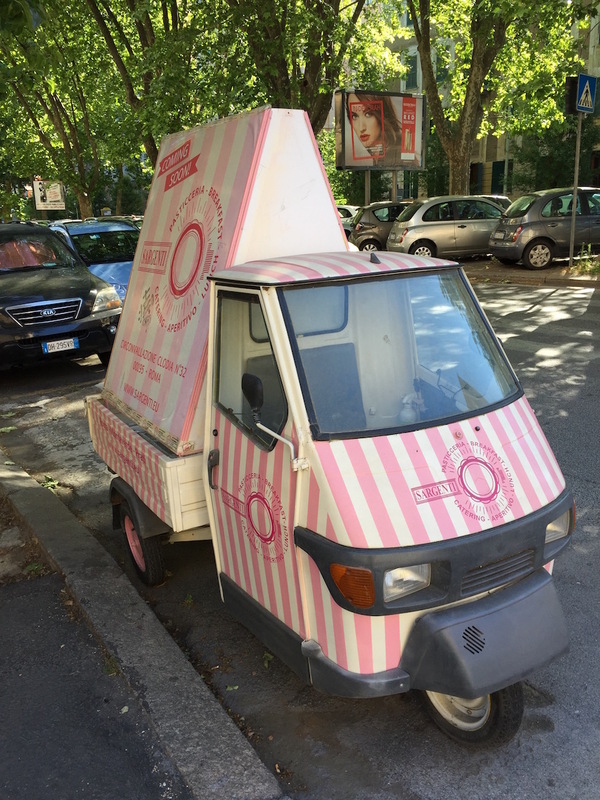 Like this motorbike that serves mainly as advertising platform for a pasta chef.